The Eastbourne Eagles are a professional speedway team racing in the UK’s Championship league. Home meetings are held on Saturday nights at the club’s Arlington Stadium, which is just off the A22 Hailsham by-pass. Racing usually begins at 7.30pm. Some meetings are held on Sunday afternoons. Speedway is a fantastic, adrenaline-fuelled team sport watched by a local, national and international audience covering a range of demographic profiles. 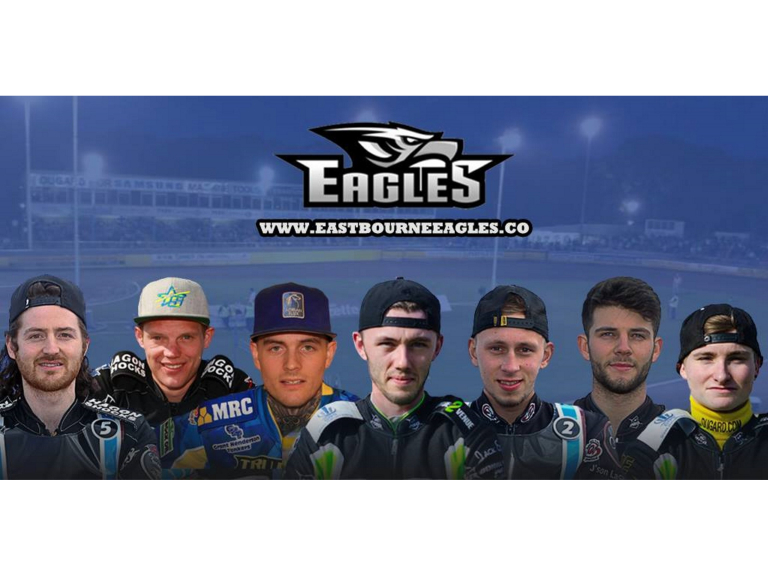 Brand engagement with The Eastbourne Eagles provides local, regional and national and international broadcast exposure. Eastbourne Speedway can create a “bespoke package” for any “would be” sponsor or advertiser, however big or small your company, and whatever the size of your potential investment. We want to create an inclusive and friendly environment, where sponsors and advertisers feel valued, welcome and can network and mix and mingle not only with all club officials and riders, but also with our supporters and fan base. If one of your requirements is for us to drive business and leads your way; we can do this via click-back links on our totally revamped 2019 website and via programme, stadium, racewear; PA announcements. We also have an excellent NEW Media Portal, called EAGLES TV which is ideal for advertising and announcing your company and also individual requests, to a wider local, national, speedway centric and wider sporting audience. We featured a number of times in the autumn of 2018 on ITV Meridian News broadcasts, are regulars on the BBC Sussex/Surrey sports programmes and in the local Press.